ConnectSport is working with the Sport for Development Coalition to create a monthly 'call for articles' around a particular theme. Throughout February 2019 articles will focus on ‘Sport providing a safe place'. 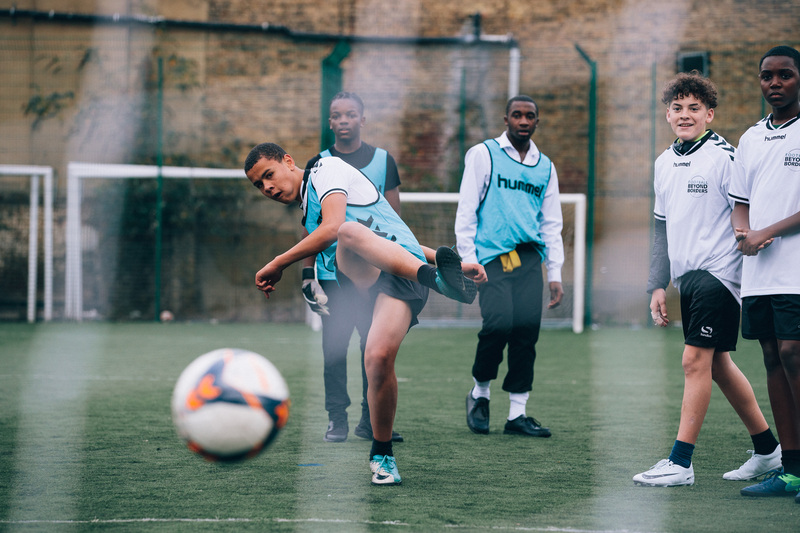 Here Jasper Kain, Co-founder of Football Beyond Borders, talks about the charity’s work with young people across London and Manchester. To submit an article, contact hello@connectsport.co.uk. Hi Jasper. Tell us about what Football Beyond Borders do. 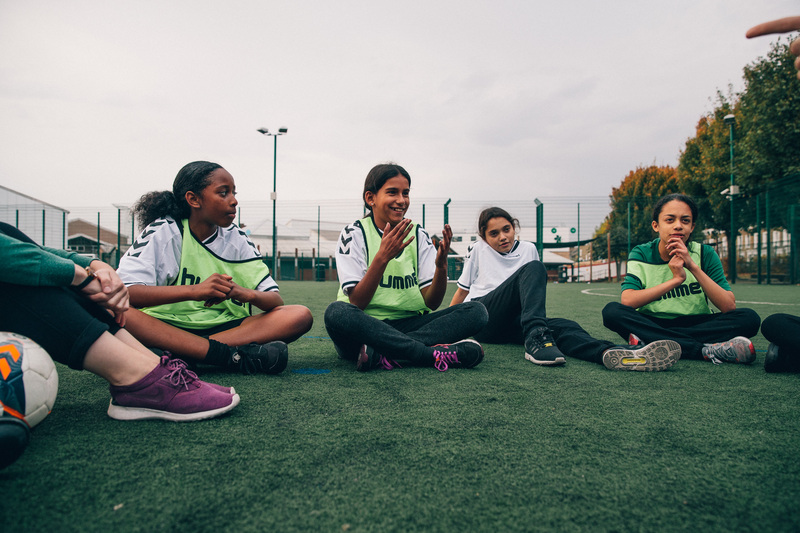 “We are a charity that uses young people’s passion for football to engage them in learning and try to provide a platform to enable them to make their voices be heard. In doing so, we want to be part of a movement that uses football to create a more inclusive society. The charity is expanding its reach and impact this year, tell us more. “The schools we operate in are in London, Kent, Surrey and Essex, and we have just opened in the North-West in Stockport, Accrington, Bolton and Manchester. One of our aims this year is to develop outside of London as there is obviously a lot of need. We focus on school exclusions and the North-West has a higher rate than in London. Plus it’s an area which obviously has huge passion for the game. “We are really galvanising our community programmes this year. Our schools programme operates inside of the school gates for 38 weeks throughout the school year; but there is a third of the year when children are not in school, so we felt we needed additional provision to support our participants. 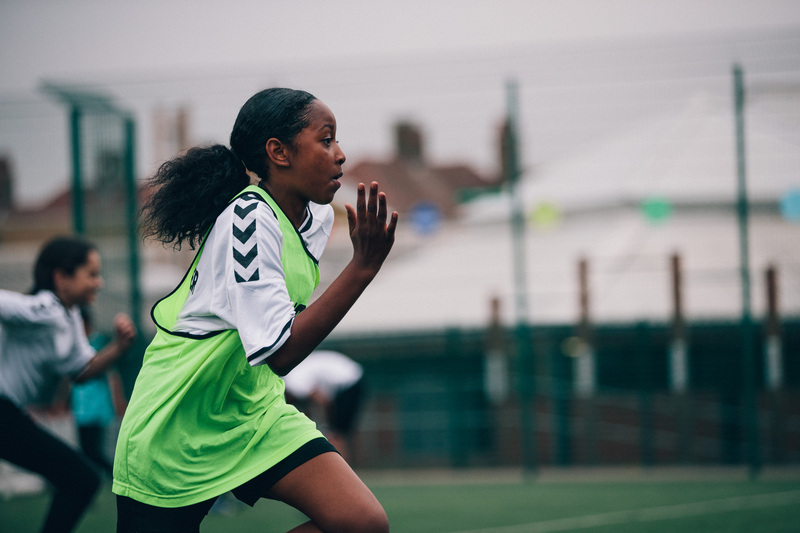 We have recently taken over a site on the Angell Town Estate in Brixton and have a five-a-side football pitch, and we are developing a new community programme which will see us delivering every evening of the week around a range of different topics. Why do you think this particular programme can help to improve community cohesion? “These are young people who usually wouldn’t come together; often there is a lot of fear and suspicion of people from other areas. That is the kind of world that they are living in. So this creates an amazing opportunity to create a vehicle where they can feel a sense of belonging and purpose; a sense of ownership and that they are part of something transformative. Football Beyond Borders have build a fantastic reputation for working with young people in need. What have been the main challenges as the charity has expanded over the last few years? 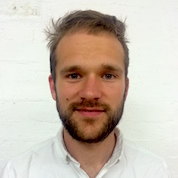 “We have always tried to create a sustainable, and self-sustaining model, where we don’t just rely on big grants which might create a culture of dependency and can ultimately lead to things becoming precarious. We have always tried to get schools to pay for the service and we have tried to have a range of different funders to create a level of autonomy, which is great because there’s a good level of accountability. “The reality, of course, is that schools’ budgets are always being tightened so it’s a challenge to maintain that philosophy in times of austerity. But we have always said that we will never go over 50% of our annual income coming from trusts and foundations, and restricted income. “The second thing is that we have always wanted to create an inclusive staff culture, and that means that the organisation should be reflective, from participants right up to senior management. This needs to be reflected in terms of recruitment policies, in terms of pathways and progression routes for staff members. “We have staff members who were participants on our programmes, and we have created an independent working group to provide recommendations. We don’t want a senior leadership team that doesn’t look like, or represent some of our participants. It’s a big thing for me around firstly congruence, and then secondly around role modelling. FBB’s mission is transforming the lives of young people but then also we need to create a staff team and culture that is representative of the communities that we work with. “We think that ultimately that will lead to us being more effective, but also it sends a strong message that this is a way of running an organisation where you don’t end up fragmented with a managerial class who are very detached telling local communities what to do. For us there is a representation and empowerment piece there. “Lastly, there is no denying that young people are growing up in a world where there is a lot of mistrust and fear which is being stoked all the time, by the media and by the political class. Young people are very susceptible and they absorb the environment they are growing up in. They have their own fears and concerns, and it can perpetuate a sense of individualism and mistrust. What are your ambitions for the charity over the next five years? “We believe that we have developed a really effective model and we’d like to roll that out. By 2024, we would like to be in eight regions nationally, working with at least 600 young people in each region as well as having a youth hub with a thriving community programme which supplements what we do in schools. 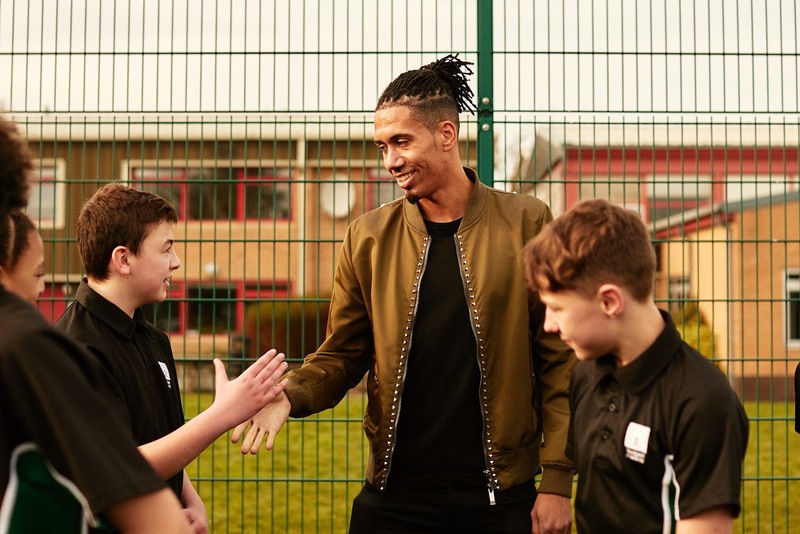 “We’re really excited that Manchester United defender Chris Smalling is coming on board as patron in the North-West, and the idea is that we will get a youth centre in Manchester later to replicate what we are doing in London. 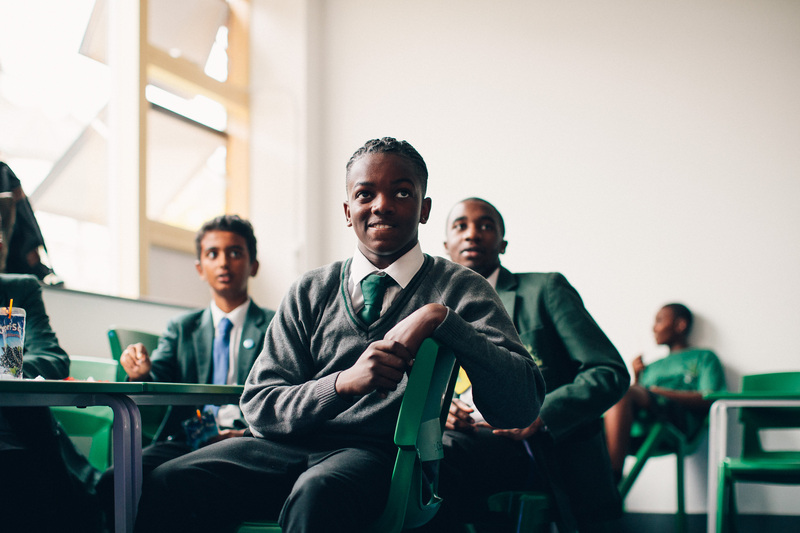 “We want to be one of the leading football for education and social inclusion charities in the country; we want to be able to demonstrate our impact at scale; and we want to be part of a movement that shapes policy and helps to create a more inclusive agenda, particularly around school exclusions and preventing young people from becoming NEETs. They have gone up 40% in the last three years and there is a massive issue at the moment, particularly around 11 to 14-year-olds. We want to see a change in that, and for us to be part of that movement. Find out more about Football Beyond Borders on their ConnectSport directory page. To add your organisation to the directory, contact hello@connectsport.co.uk.